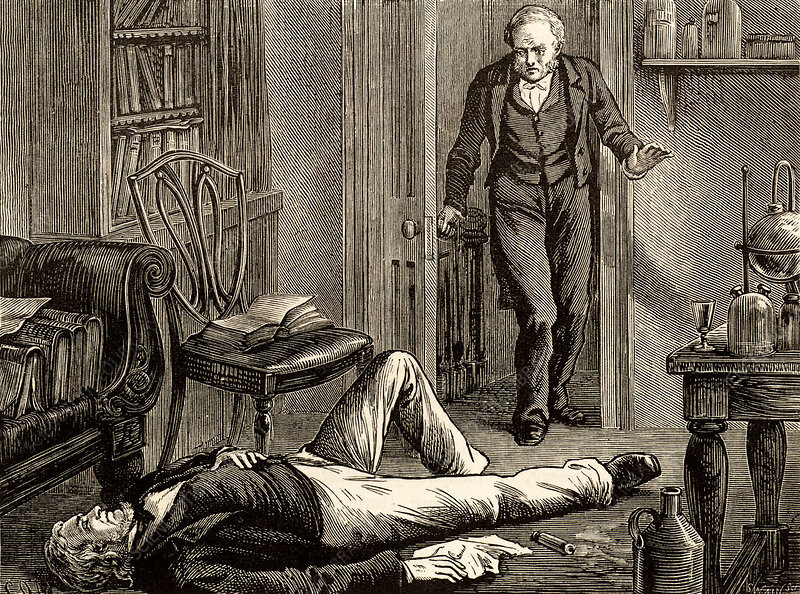 James Young Simpson, having experimented on himself with chloroform, found unconscious on the floor by his butler. Simpson (1811-1870) Scottish obstetrician born at Bathgate, West Lothian, Scotland. Professor of Midwifery at Edinburgh University. Physician to Queen Victoria. Discovered the anaesthetic properties of chloroform. Introduced anaesthesia to childbirth. Engraving from Heroes of Britain in Peace and War by Edwin Hodder (London, c1880).